Want to see all that the so-called 'Capital of the Alps' has to offer? 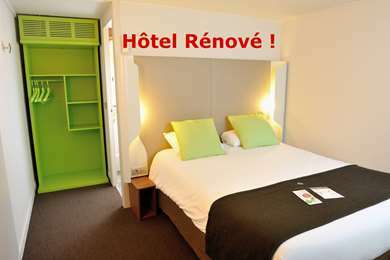 Then make sure you visit Grenoble and Premiere Classe Hotels ! Grenoble is a city in the southeast of France, located in the French Alps in the region of the Rhône-Alpes. Due to its proximity of the mountains, as well as being the most populated city of the region, it is known in France as the ‘Capital of the Alps’. Grenoble is crossed by both the Drac and the Isere rivers, as well as being surrounded by the Vercors, Chartreuse and Belledonne mountain chains. Grenoble gained stature in the 11th century by becoming the capital of the Dauphine however it was still just a modest parliamentary and garrison city on the borders of the kingdom of France. It grew in importance though through its industrial development, experiencing several periods of economic expansion. First up was its booming glove industry in the 18th and 19th centuries, then the development of a hydropower industry in the 19th and 20th centuries before its post-WWII economic boom symbolised by the holding of the 1968 Olympic Winter Games. Today the city is a significant scientific centre in Europe boasting numerous research centres. Two days is just about enough time to get to know the city of Grenoble. 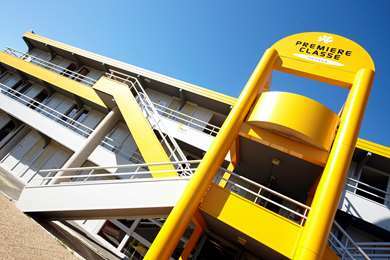 Premiere Classe Grenoble Nord – Molrans Hotel, Premiere Classe Grenoble Nord – Voreppe Hotel and Premiere Classe Grenoble Sud – Gieres Universite Hotel are all just a short taxi ride from the centre. Your first stop should be Palace of the Parliament of Dauphine, home to the Parliament of Dauphine until the French Revolution. Next head to the city’s most prized museum – the Museum of Grenoble – which showcases a range of things from paintings to Roman artefacts. The Archaeological Museum of Saint Laurent is also a must see. For day two go to La Bastille – an ancient set of fortifications sitting on a mountainside. You can take a cable car to the top where you will find some amazing views of the city. A week is a perfect amount of time to get to know Grenoble. Located amongst the Alps, if you are around in winter then skiing is a very popular activity. The nearest ski stations, Autrans and Chamrousse, are just a 45 minute car journey from the city. The mountain ranges also offer plenty of hiking and climbing. Maison de la Montagne is your best bet for a starting point as helpful staff can help you choose the perfect route according to your fitness and amount of time you have. If it is a hot summer’s day then why not hike to a mountain lake, such as lake Robert or Achard, for a leisurely swim. Grenoble is a fantastic destination to take the whole family ! It boasts Parc Paul Mistral, a big park in the city centre, which includes a roller skating rink and tower that illuminates with blue lights at night. The little train of La Mure, which goes through 18 tunnels and offers a spectacular view of the River Drac and the dam of Monteynard, is another activity that will provide fun for everyone ! The city is served by Grenoble Isere Airport. 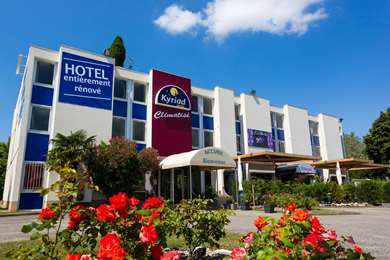 It is a small low-cost airport, with flights to and around Europe, that is most popular in the ski season. 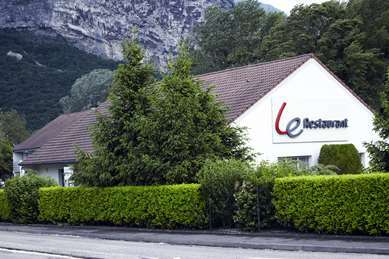 Located about 40km from Grenoble, the airport provides a coach transfer: however it only runs a few times a day. Grenoble is also served by Lyon Airport, 100km away, and Geneva Airport, 157 km away. Both have train stations linking them to Grenoble. The city’s train station is served by the TGV rail network with frequent services to Lyon. There are also less frequent trains to other French destinations. Highways link Grenoble to all major cities in the area, including the A48 to Lyon, A49 to the Rhone Valley and the A41 to Chambery and Italy. 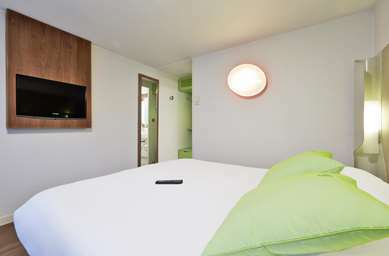 Premiere Classe has a few hotels within easy reach of the city centre including Premiere Classe Grenoble Nord – Molrans Hotel. Grenoble boasts a culinary heritage of secular traditions with recipes and ingredients inherited from the grounds and people that fashioned the city. A real classic dish is ‘gratin dauphinois’ (potatoes cooked with cream, herbs and spices). Other favourites from the city include ‘la potee au Murcon’ (a pork dish with potatoes and cabbage), ‘la caillette’ (pork’s throat and liver served with spinach and salad) and pumpkin and chestnut soup. Grenoble plays host to many cultural events throughout the year. Grenoble Jazz Festival in March is a two-week long jazz festival with one of the largest representations of jazz music in the world. The Open Air Short Film Festival in July presents an extensive selection of short films for both professionals and newcomers. Other highlights include the world music of the Cabaret Frappe Music Festival in July and the nomadic music of Festival des 38 Rugissants. During the French Revolution Grenoble was re-baptized ‘Grelibre’. Its people wanted nothing to do with nobles and royalty. ‘Libre’ which is French for ‘free’, made the city sound much more revolutionary.